Scandi and minimalist living style. Our client was developing their forever home in the bayside suburb of Chelsea, in Melbourne's southern beachside suburbs. 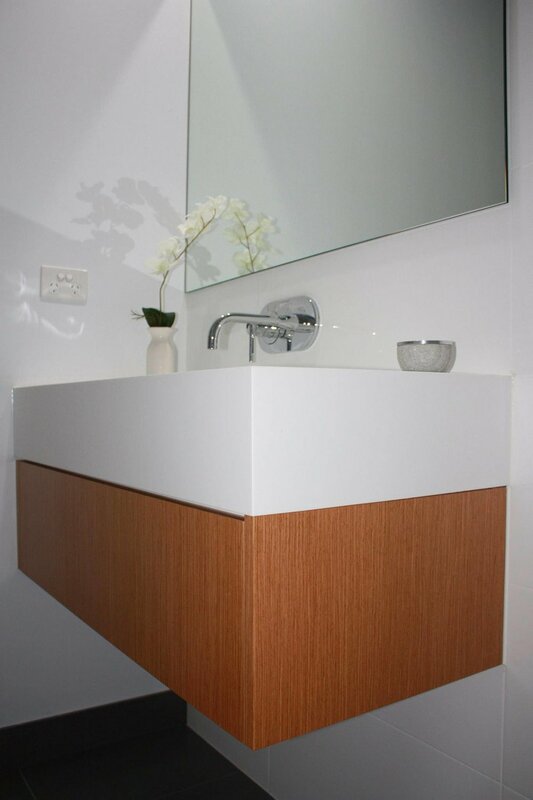 They wanted a modern look and consistency throughout the home to match with the modern design of the home. 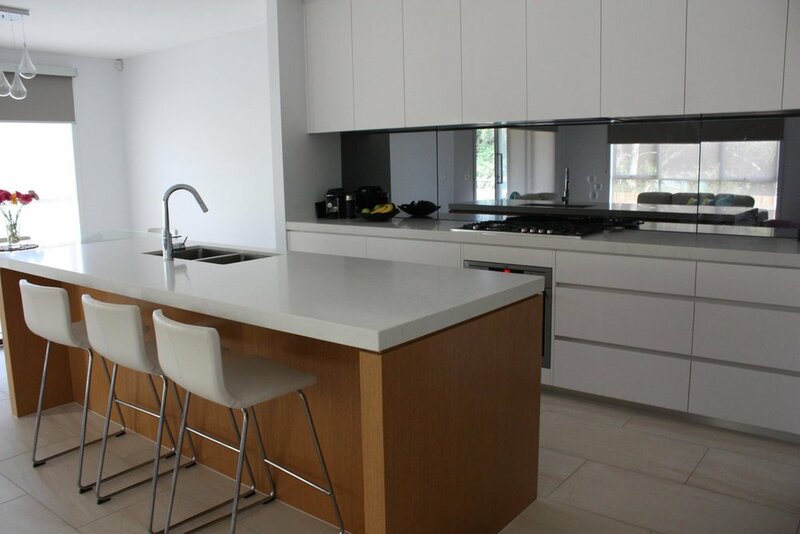 We designed all their cabinetry throughout the home and utilised natural white satin finishes on the cabinetry, wood veneer for the island bench and floating vanities for a 'Scandi' feel. 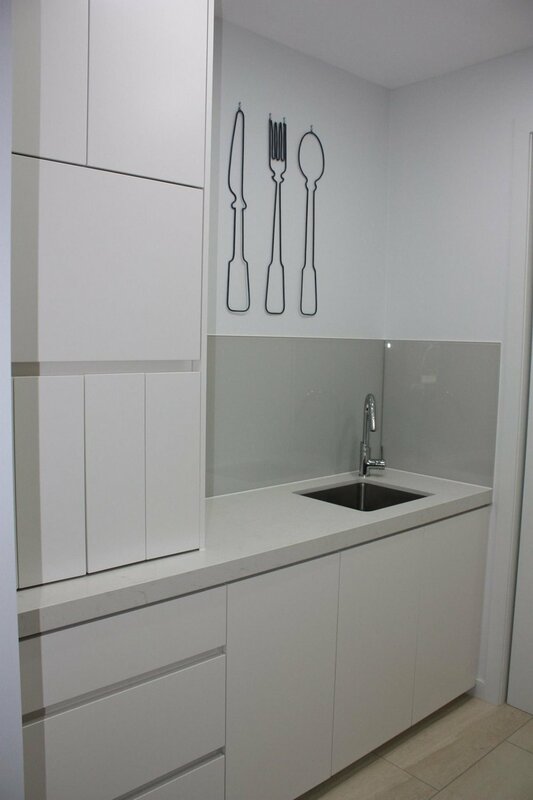 The push-to-open cabinets and shadow line around the island bench create an elegant yet functional space for this busy family, with ample cupboard and draw space and a hidden appliance cabinet. 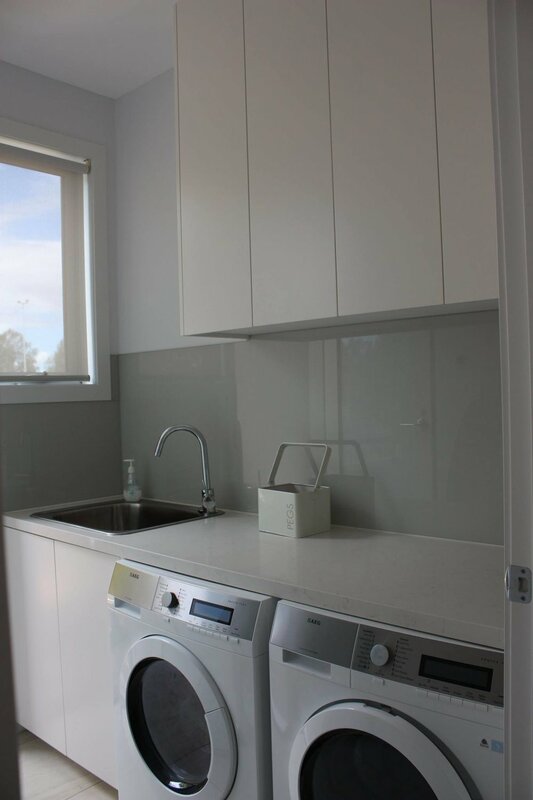 The clients selected Caesarstone Benchtops in the kitchen, butler's kitchen and laundry in 'Frosty Carrina', smokey mirror splash back for the kitchen and pebble grey splash back for the butler's and laundry areas.